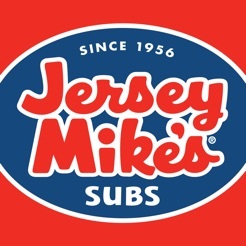 Conveniently order food ahead and avoid the wait at your favorite Jersey Mike's location! 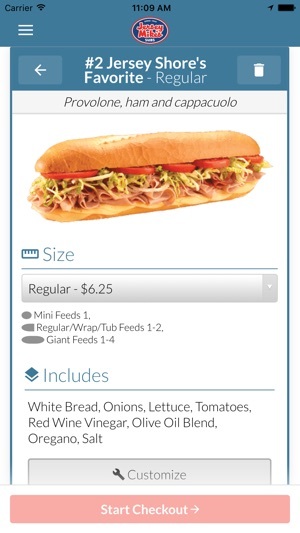 Authentic, affordable subs you can order on the web or in the user-friendly app! Sandwiches, wraps and more are all available for quick, hassle-free mobile & online ordering. 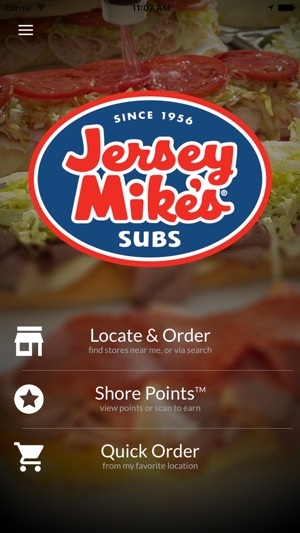 The official Jersey Mike's app allows you to find and order from nearby restaurants in a quick and convenient way. 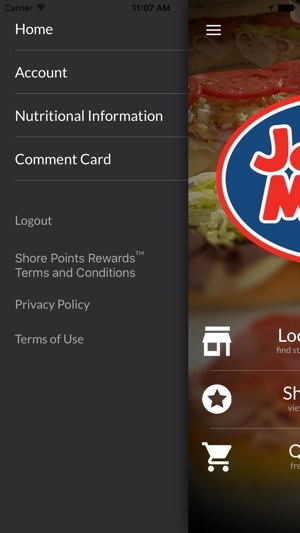 Customize your meal, earn and redeem Shore Points™ for free subs, select a pickup time and your food is ready for pickup when you arrive at your local restaurant. You can skip to the front of the line, pickup your food, and go! -Pay & order ahead of time - Avoid lines! The app worked fine for me. Took about 5 minutes to set-up. 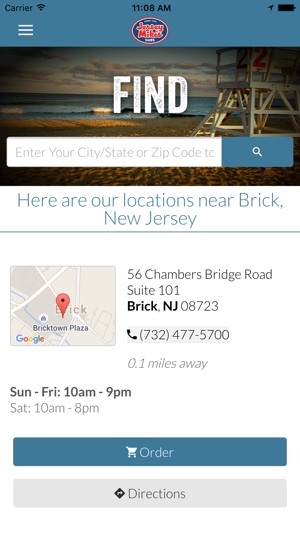 Used the store locater in the app, it brought up 4 nearby locations. Offered directions just in case I didn't know where I was going. Allowed me to place the order including comments for changes or special order requests. Allowed custom pick-up option besides default ASAP (20 minutes) Sent me an email confirmation, I'd like to turn that off, I know I ordered. Requires a credit card to use and stores user CC information, I'm not sure I like that, but what the hell seems my cards are used all over the world & I have fraud protection. It would be nice if users were allowed to choose "pay with cash" when picking up. I understand the need to collect payment and preventing fraud or stiff orders, but allowing me to pay with cash upon pickup would be nice. My order was ready and waiting at the counter at the exact time the app said it would be ready. Sent yet another email telling me the order was ready, again not necessary. Purchase history is still in the app a day later, good for when I fill out my expense report on Friday. All in all a useful app. I'll probably use again. The food & employers at Jersey Mike’s are great. This review is about the app only. Right away, I knew I wasn’t going to be able to utilize this app. The sandwich customization is ludicrous. I cannot eat lettuce but there are certain ingredients with an asterisk which you cannot remove from the sandwich. You can uncheck these items with the asterisk but if you try to submit the sandwich it will tell you that not all necessary items are checked. I thought all toppings were optional????? Well lettuce has an asterisk. My son likes his sandwiches with extra cheese and no other toppings. Can’t do that through the app either. You also can not communicate through the app if you want a normal amount of a topping, a lighter amount, or a heavier portion. So, the effort put into the app seems half-hearted. 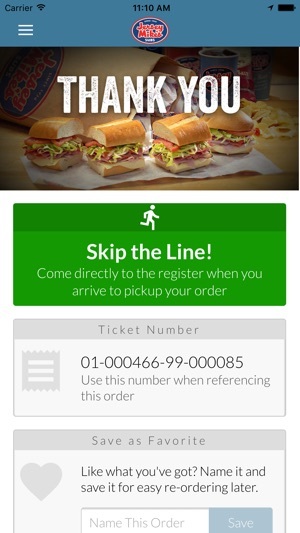 Another large sandwich chain & the pizza companies have very well-developed apps, perhaps you could spend some time working your way through those to find out how to make a user friendly app that allows optimal customization of your products. I have tried to order several times using this app. I like that you have an app. There are some things that need to be fixed though. There isn’t an option to get more than one combination. You can edit the quantity on the combination, but if you change it to 2 the app still shows a quantity of 1 when you return to the order page. The app will not save your items in your cart if you have to edit your order. As an example: I noticed that my order showed white bread, but I wanted wheat bread. When I tried to edit my order there wasn’t an option to edit the bread. I went to the home screen and it didn’t show my order. I had to phone my order in.